Invented by two-time WSOP bracelet winner Mel Judah, Cashout Poker offers a new level of flexibility to tournament poker players at all levels. Cashout poker incorporates a unique payout structure that enables players to leave a tournament at any time and cash out their chips. Separate pools, a 'prize pool' and a 'cash out pool', enable this to happen. A new and exciting concept that will attract all types of players to your card room. Will bring players back who want to make a profit. 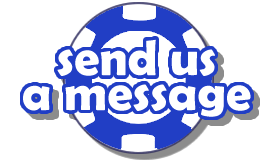 Players who are waiting to play cash games and have time on their hands may enter a Cashout Tournament. Suits players who have limited time or prefer short sessions. Pros who see the value of going all the way benefit whilst others are cashing out. 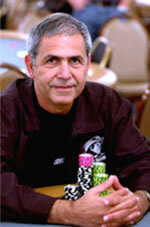 There will be more and more winners in your card room due to players having a choice. 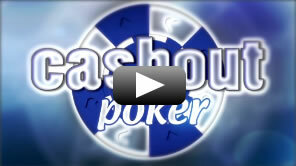 Cashout Poker will benefit strong players if they are deep into a tournament. This is because players will have the option to cash out early or play on depending on their chip position. Weaker players that have accumulated a lot of chips early on will benefit by having the choice to cashout whenever they wish. 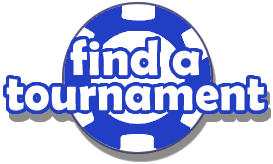 Cashout Poker also suits experienced players as the unique structure reduces the number of players you have to beat to win the tournament. There are hundreds of reasons why you might not be able to finish the tournament. Work, dinner, a prior engagement or even tiredness. Cashout Poker offers you the chance to leave the tournament with a proportion of your winnings at any time. © Copyright Mel Judah 2015. Design by Tall Poppy Designs.